Eliot attended UCSB, and has served in ministry, and in the non-profit sector, ever since. She has experience in lay counseling and mentoring women and couples through her involvement in church. Currently, she works with Reality Santa Barbara as Director of Administration, helping with everything Finance, and People & Culture. She enjoys walking on or biking to the beach with her husband, Bill, of 32 years. They have two married sons living in Santa Barbara with their new wives. She counts it a privilege to be a part of Hope Counseling Center’s work in the community by serving on the Board. ​Bonnie Fearer has lived in Santa Barbara since 1977, having come here to attend Westmont College. She has been married to her husband Todd for 32 years, and they have three grown sons. Her greatest loves are family, friends and anything outdoors. She has many years experience in pastoring, pastoral counseling, and she has consistently referred people to Hope Counseling Center over the the years. She is happy to now be able to serve HCC in a more direct way as a board member. 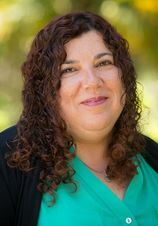 Kim McDaniel grew up in Santa Barbara County before attending San Diego State University and the University of Puget Sound School of Law. 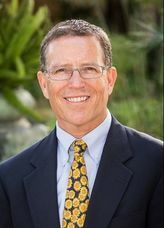 He is a partner in the law firm of Howell, Moore & Gough in Santa Barbara and has specialized in business matters and intellectual property law for 31 years. Kim and his wife Katy have attended Santa Barbara Community Church for 20 years with their three children. He enjoys cycling, all “good” music in all genres and poetry. He is honored to support the good work of Hope Counseling Center.